Forming a Nevada corporation comes with a number of benefits that might be worthwhile. 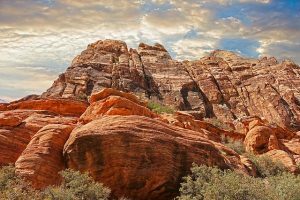 Nevada corporation owners enjoy a pro-business atmosphere, low-tax mentality and freedom from information sharing with the IRS (opposed to other states that have agreed to share your company information). Personal liability protection, prestige and convenience are some additional advantages to incorporating in Nevada. To get started with forming your corporation in Nevada, you will first need to confirm that your company name is available with the Nevada Secretary of State. Please note that you will need to include a corporate identifier such as Inc., Corp. or Ltd. You can verify that your Nevada corporation name is available through a search with the Nevada Secretary of State online. Before you go on to file any paperwork with the state, you will need to appoint a Nevada Registered Agent. Your Registered Agent will serve as your main point of physical contact in Nevada and must be available during business hours to receive official state documents and any other legal papers. If you incorporate in Nevada because you plan to operate your business here and will have a physical office, then someone at that location can serve as your registered agent. Otherwise, you will need to select a registered agent provider. MyNewCompany.com can provide you with a Nevada registered agent for only $99/year and is a member of the Nevada Registered Agents Association. Now that you’ve appointed a registered agent, you can file your state paperwork. You will also need to obtain a Federal Tax ID and open a Nevada business bank account, and submit foreign qualification paperwork with the state where you will do business if you will not be operating in Nevada. Click here to view further steps for incorporating in Nevada. Please be aware of companies that promise you a Nevada company without having to foreign qualify in your actual state of operation. Virtually every state requires that a Nevada company “re-register” in that state to do business there, so if you are operating in a state other than Nevada, you may be required to pay additional fees. MyNewCompany.com offers Nevada business filing packages starting as low as $79 plus the state filing fee. All packages include unlimited name availability searches, next business day processing, unlimited phone and email support, the new Corporation Handbook, the Nevada Startup Checklist, free company alerts, free first class shipping and more. Visit MyNewCompany.com or Order Online right now! According to a survey, more than 50% of California small business owners think the State is headed in the wrong direction and are not optimistic about the future.Â Excessive regulation, health insurance prices and workers compensation insurance premiums are frequently cited reasons. I believe this is why about 30% of our clients who incorporate in Nevada are actually from California. Hmmm…sounds like a great reason to incorporate in Nevada or any of the other business friendly states!